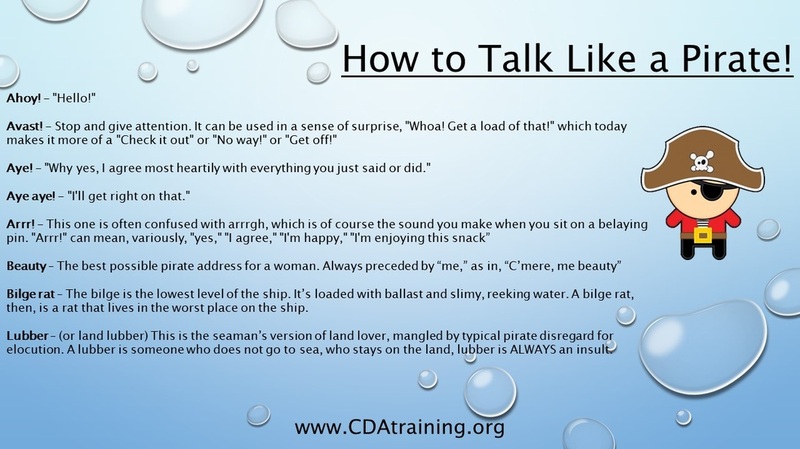 Assist children in coloring their pirate patches as desired. 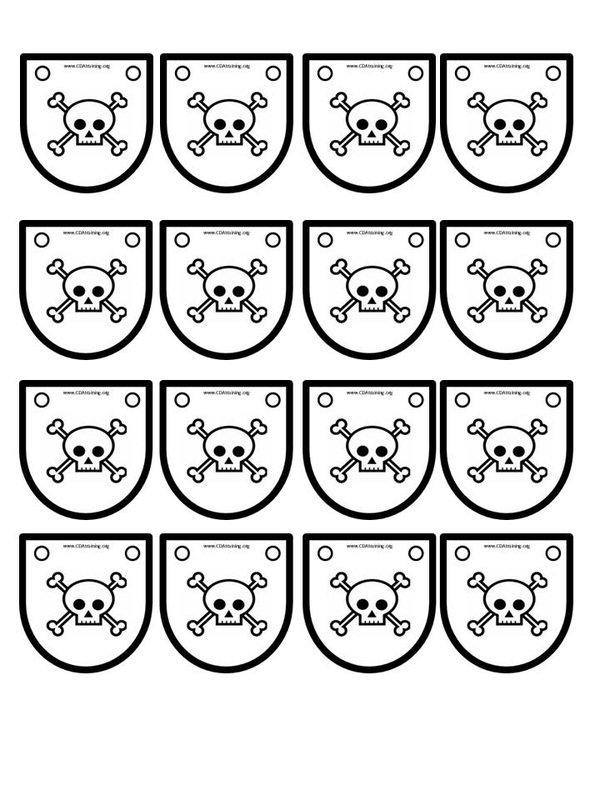 Once decorated, use a hole punch to put holes over the circles provided on the patches. 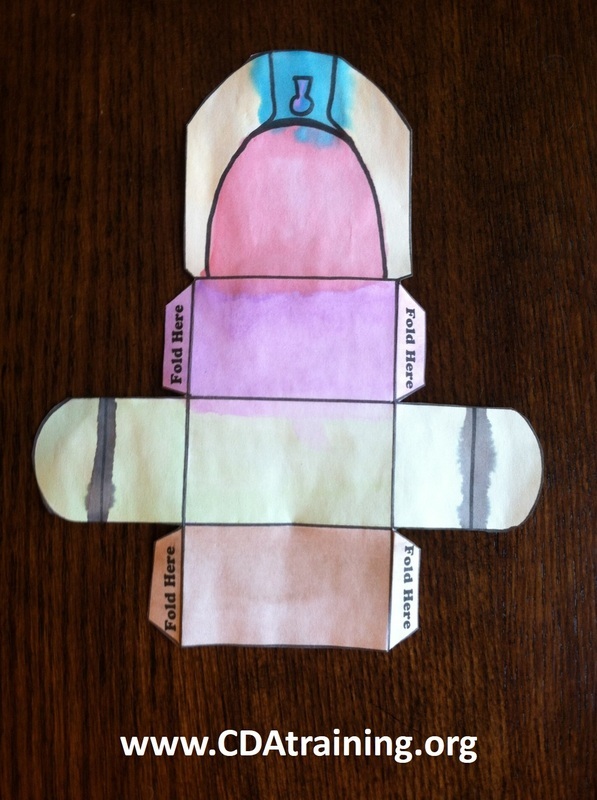 Use a section of yarn to tie the patch to each child's head. 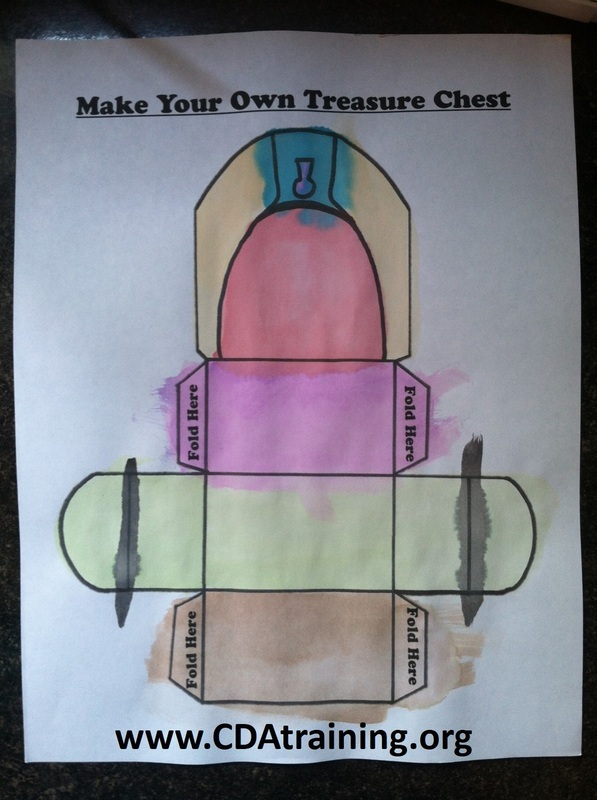 Supplies Needed; Print out of template (below), watercolors or other decorating medium, scissors, tape or glue. 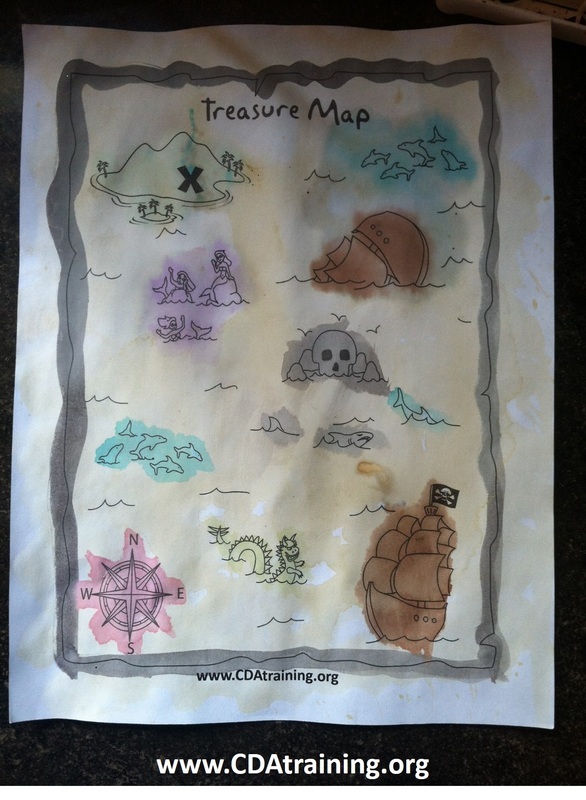 Print out and assist children in decorating their template and allow it to dry. Once dry, cut it out and fold along (center) straight lines. 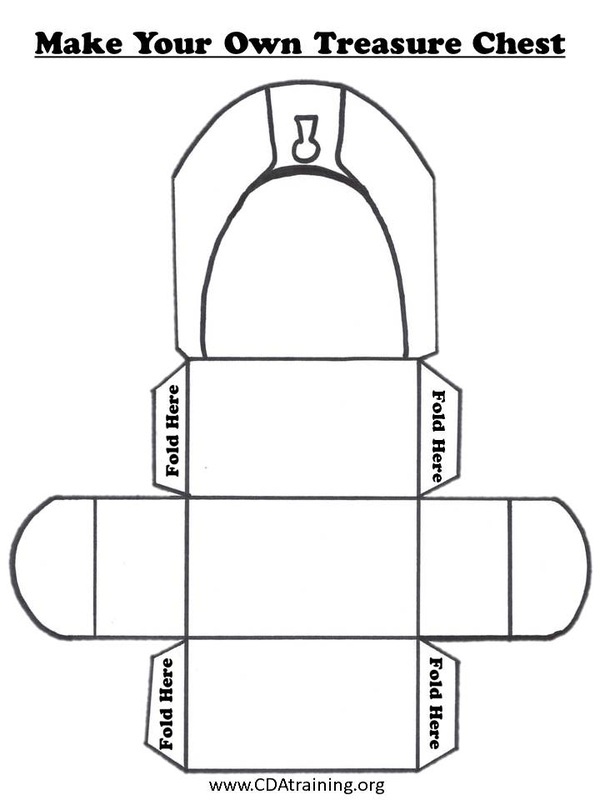 Tape (or glue) in the tabs that say (fold here), to create the box shape. When ready, curve the lid to make it arch across the top of the box. 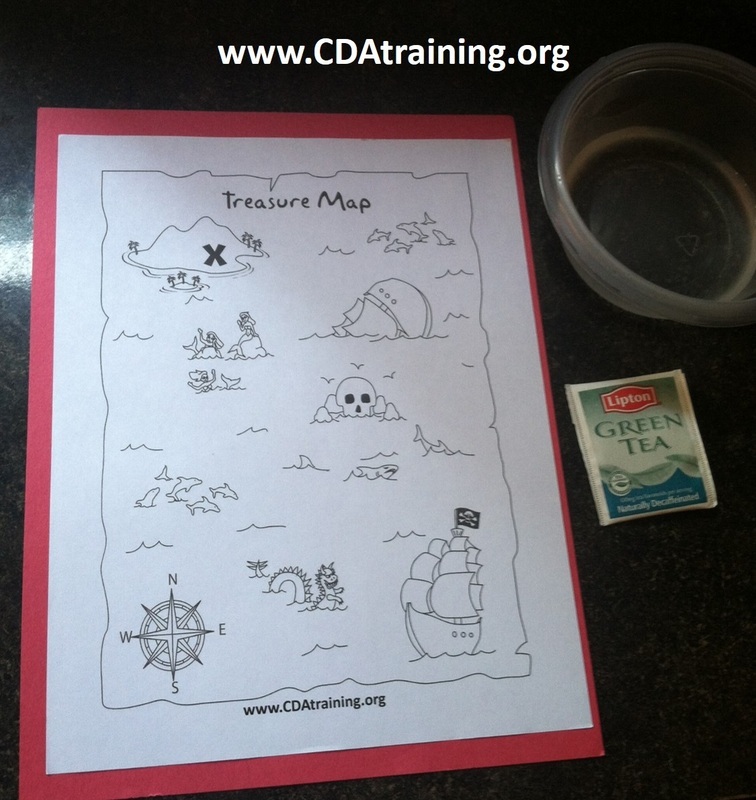 Supplies needed; Teabag, small bowl of water, print out of template (below), and water colors (optional). 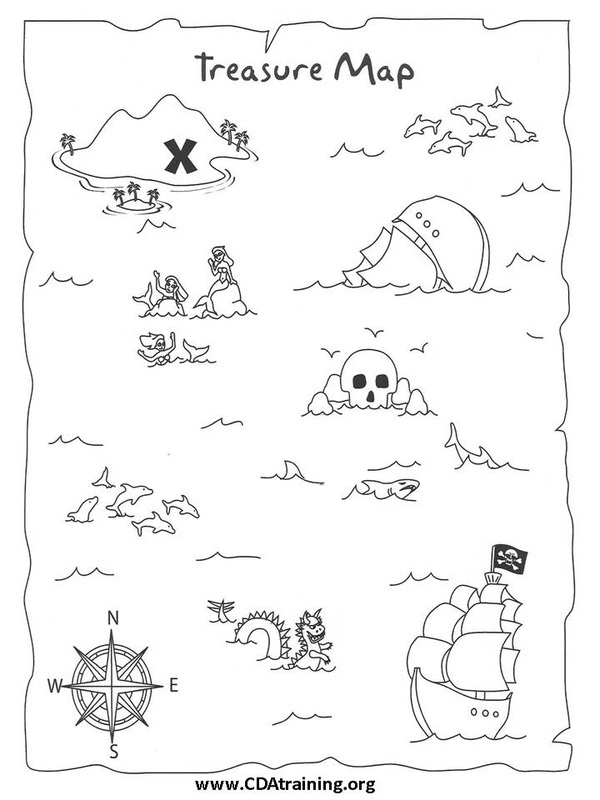 Print out the template of the Treasure Map (below). Wet your teabag, and blot it on your map. 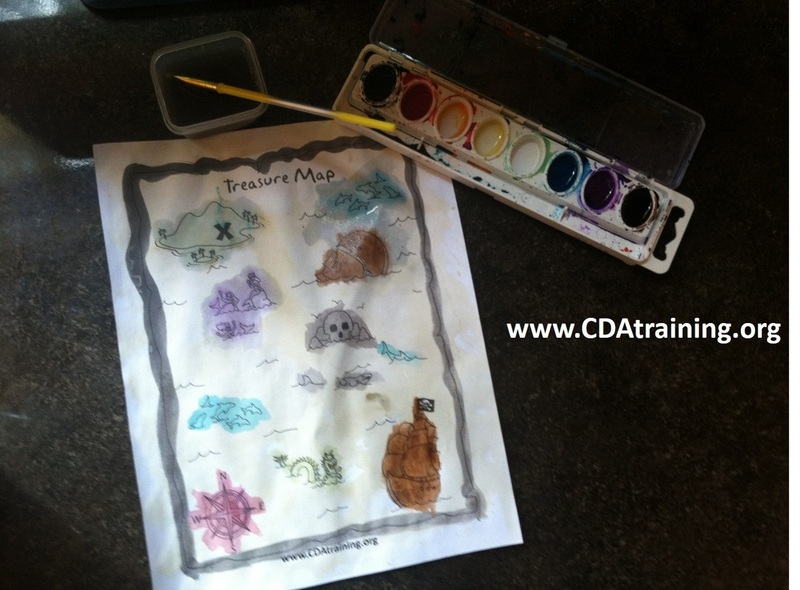 Once the map is stained to a light beige color, allow to dry. 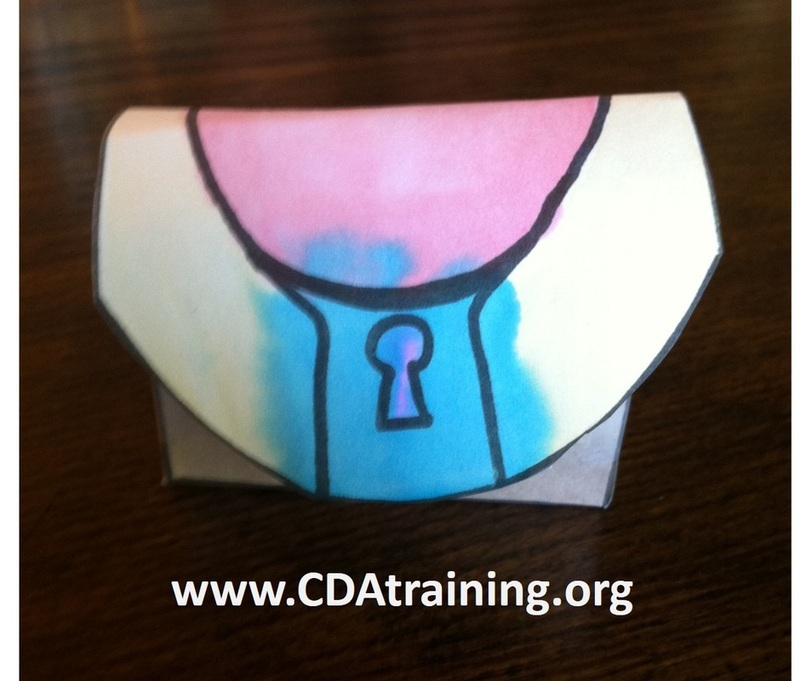 If you would like to add color, consider using watercolors. 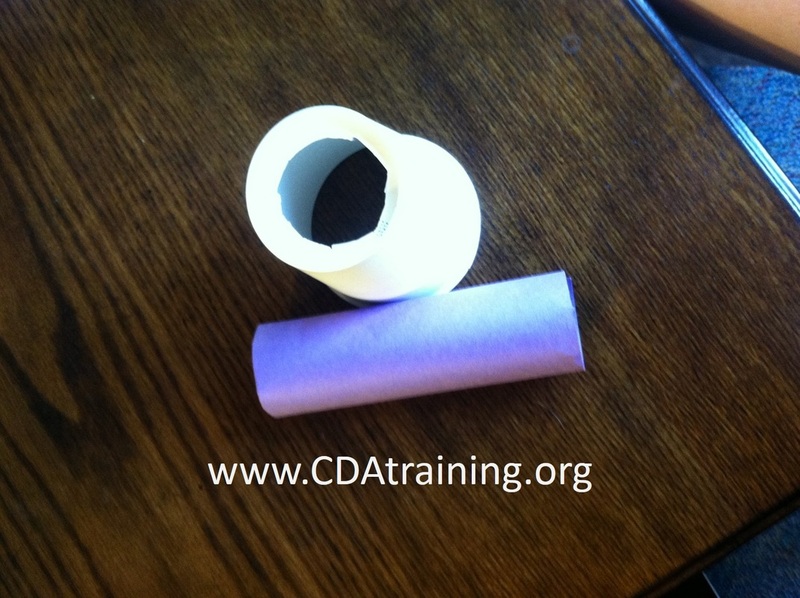 Supplies Needed; Paper cup, construction paper, toilet paper roll, scissors, and glue. Cut a hole in the bottom of your paper cup, that is slightly smaller than your toilet paper roll. 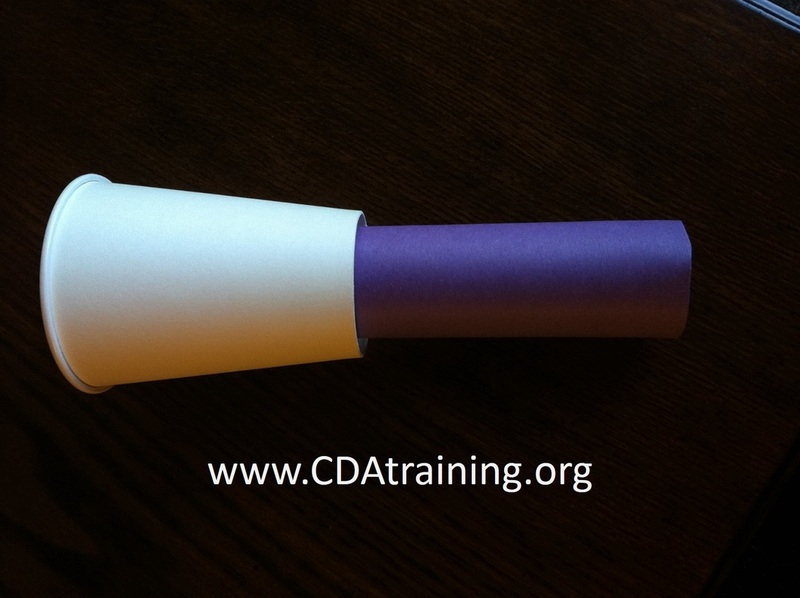 Wrap your construction paper around your toilet paper roll and tape/glue the ends down. 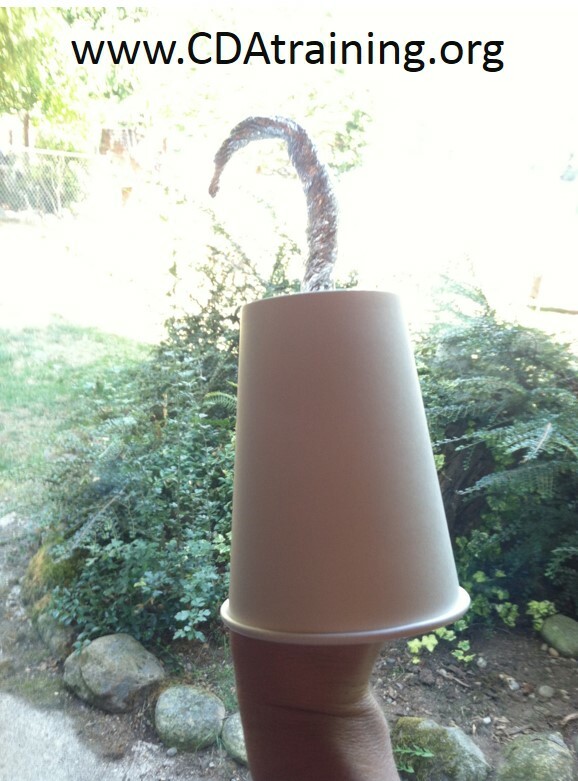 Push your toilet paper roll through the hole in the bottom of your cup, and glue in place (if desired). Take a section of foil, about 3ft long, fold it in half and crumple it lengthwise until it is about 7-8 inches long. 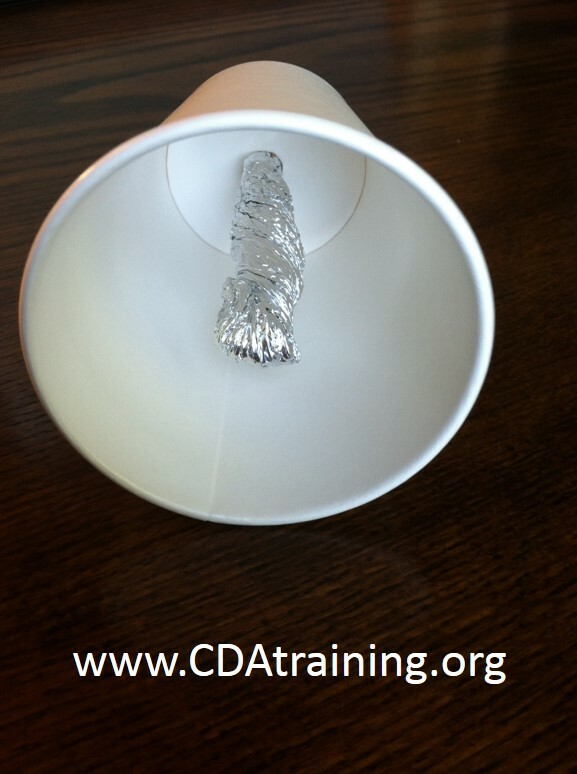 Now poke a hole into the bottom of your paper cup, and thread the foil through, leaving about half of the foil in the cup to act as the handle. 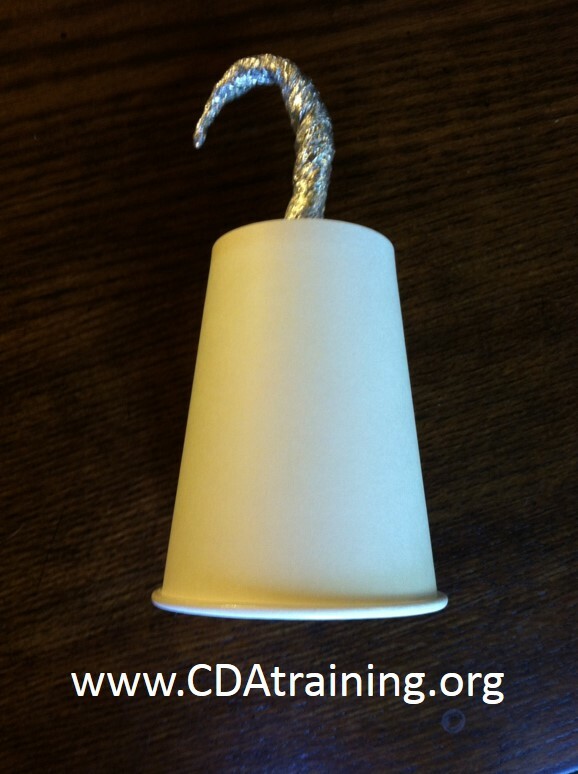 Take the end of the foil that is protruding from the cup, and bend it into a hook shape.